We are pleased to offer self-catering holiday accommodation in our refurbished Daffodil Cottage in the grounds of Thatched Farm. 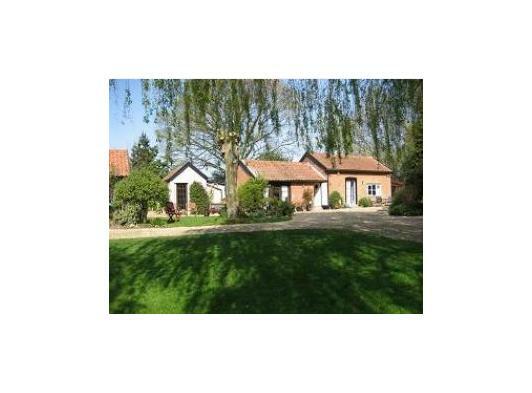 A one time old farm building now sympathetically renovated whilst retaining its original character and charm. The ground floor has a modern kitchen including fridge, electric oven, hob and microwave. Open plan living/ dining area with comfortable seating, TV, DVD and radio. Separate newly fitted shower room. 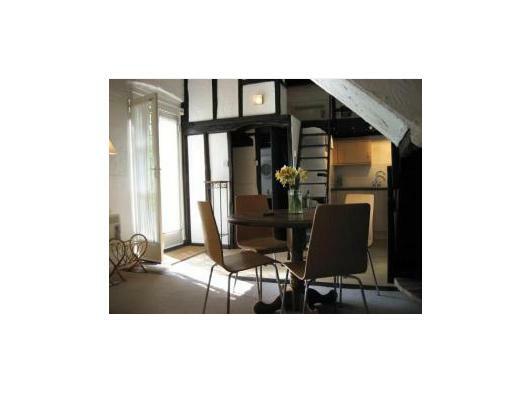 Up the winding oak staircase is a very pretty galleried mezzanine double bedroom. A separate steep staircase to the single mezzanine bedroom (these stairs are not suitable for children under 7 or anyone with mobility difficulties). A sofa bed is also available in the living area. Patio furniture outside your cottage and plenty more around the 2 acre gardens which are there for you to enjoy. Ample parking next to the cottage and secure cycle storage. A well behaved pet is welcome in the cottage, however in respect for other guests, dogs must remain on a lead whilst in the grounds of Thatched Farm. Both our cottages booked together would be ideal for a party of 5/6. Bookings are Friday to Friday to help you avoid weekend traffic. Please arrive after 3pm and vacate your cottage by 10am on your departure day. Shorter 3-5 day booking are also available and charged as per the charts shown below – please use the availability calendars below to check availability and make a reservation or call 01473 811755 for enquiries. We are pleased to offer self-catering holiday accommodation in our refurbished Bluebell Studio in the grounds of Thatched Farm. Next door to Daffodil cottage is the cute Bluebell ground floor studio. The moden kitchen with fridge, electric oven, hob, microwave and breakfast bar opens into the sleeping/living room with double bed, easy chairs and Freeview TV and DVD player. French windows open onto the gardens. Separate newly fitted shower room. On-site laundry facilities are available with washing machine, tumble dryer, iron and ironing board. 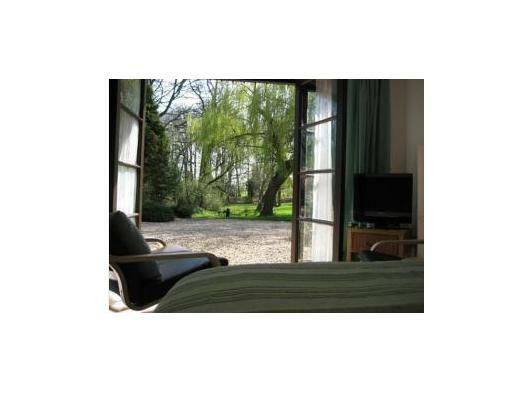 The Studio has its own garden table and chairs and guests are free to use and enjoy the gardens. Heating, linen, towels and tea towels are provided. A well behaved pet is welcome in the Studio - however, in respect to other guests a dog should remain on a lead whilst in the grounds of Thatched Farm. Ample parking and secure cycle storage available. Sorry, no smoking in the cottages. 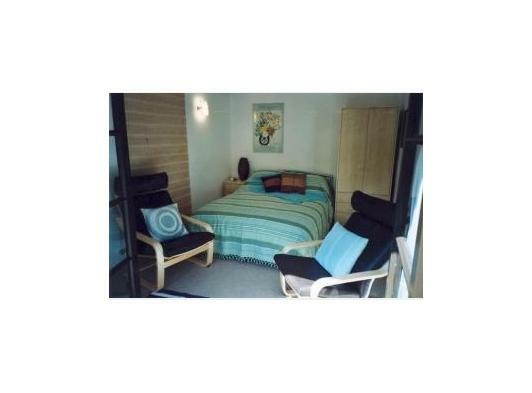 Access to the cottage is unsuitable for wheelchairs however the Studio is all Ground floor - but note there is a step down from the kitchen into the living/sleeping area.